There are Afghani, Mexican, Thai, Indian and Colombian genetics intertwined in this strain, bringing out all of the desired qualities in those landrace genetics. Wailer has large, chunky buds that have a resinous coating of trichomes, orange pistils and a danky aroma of spice, hash and fermented fruit. Flavors are of citrus, Haze and musk, with a lingering aftertaste of sweet candy or cinnamon. While the effect isn't the most potent around, it is certainly one of the most psychedelic ones out there. Total high lasts around an hour, with mind-numbing spiritual cerebral effects. Wailer is a heavy yielder, putting out roughly 1.5 grams of bud for every watt of light used, indoors. 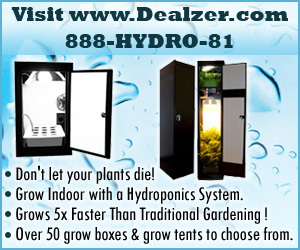 Outdoors they can yield up to 2 pounds per plant, when cultivated directly in the ground. It is recommended to vegetate Wailer no longer than four weeks, when growing indoors. After flowering, they will usually triple the height they were at the start of flowering. This is a strain that prefers to be fed and watered excessively, but only with moderate nutrient levels. Instead of increasing nute levels, simply water/feed more often than you would with the average cannabis strain. Wailer will reward growers who are patient and care to her needs with huge yields of moderately potent bud. Wailer 0 out of 5 based on 0 ratings. 0 user reviews.